Congrats, you have a nice vette and a sensible wife. plan on keeping this one stock. the only mod is tinted windows which happened today. Last edited by hdff; 02-25-2012 at 03:49 AM. Very nice!! I'll bet your wife is the envy of her girlfriends. My favorite color! I only wish they had it for 2010! Congratulations! 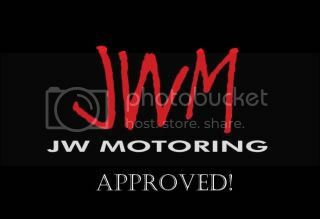 Sign Up for JWM Updates! Have you taken any pics of the whole trio together yet? Monterey Red Metallic is a great color, and you'll see how it looks different depending on the light it is in. Excellent! I'm glad you were able to bring her back to Corvette!